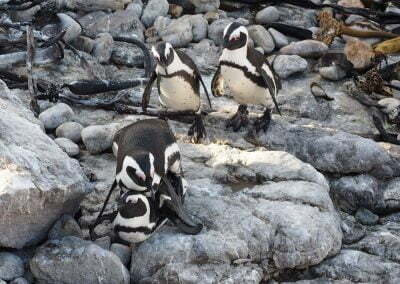 We offer unique Hiking Walking Trails in the Overberg, Fynbos area of the Western Cape from Betty’s Bay along the Western Cape coast to and including the De Hoop Nature Reserve, This covers the famous Stony Point Penguin colony and the spectacular Kogelberg Biosphere, Hermanus and the world famous Fernkloof Nature Reserve. Extending along the coast past Cape Agulhas to the Brede River at Witsand. Kogelberg Hike, walking trails – We offer 5 Kogelberg guided day hikes, and 2 overnight trails – guided or unguided. 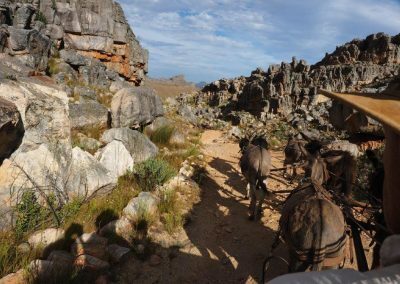 The Kogelberg, Hiking Walking Trails – Biosphere encompasses the entire coastal area from Gordon’s Bay to the Bot River vlei, and inland to Grabouw and the Groenland Mountain. 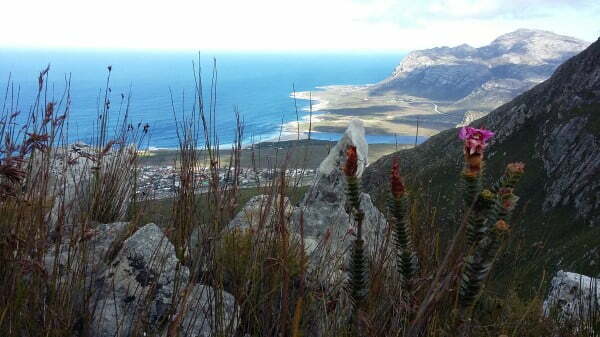 Kogelberg Hiking, Walking Trails is just an hour’s drive from Cape Town the area is famous for its floral wealth. 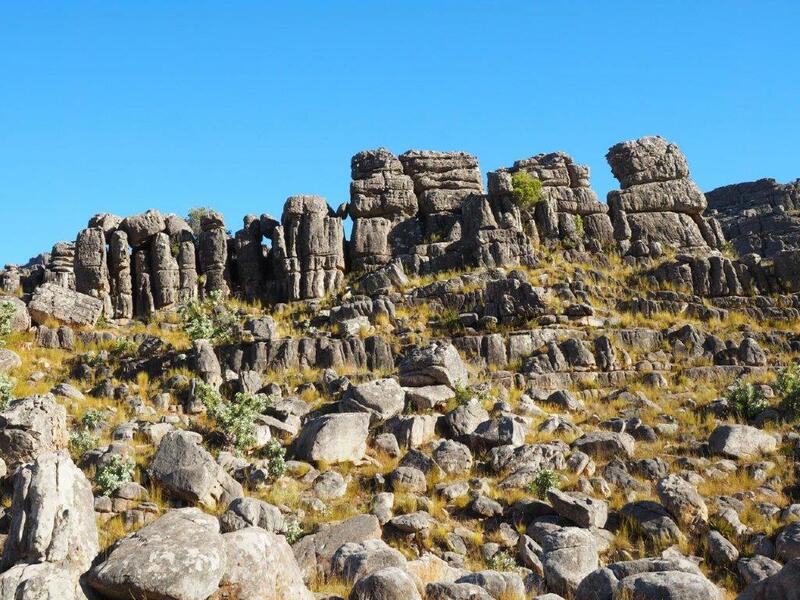 The 100 000 ha Nature Reserve boasts in excess of 1800 plant species. 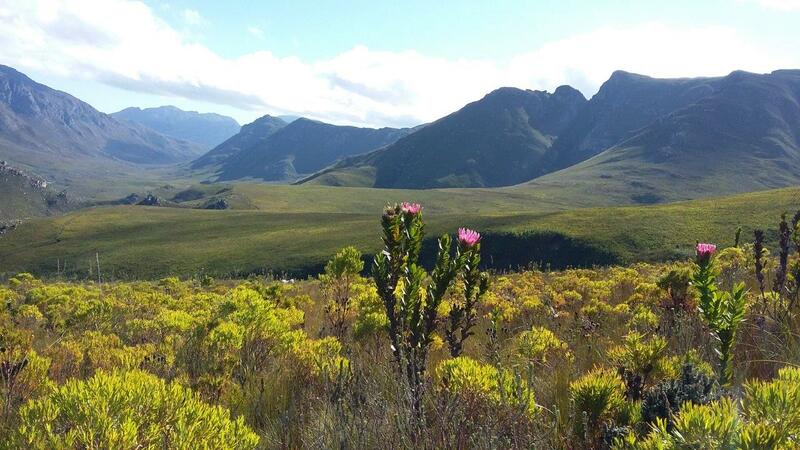 Many spectacular members of the Protea family, including the Marsh Rose occur here in Kogelberg. 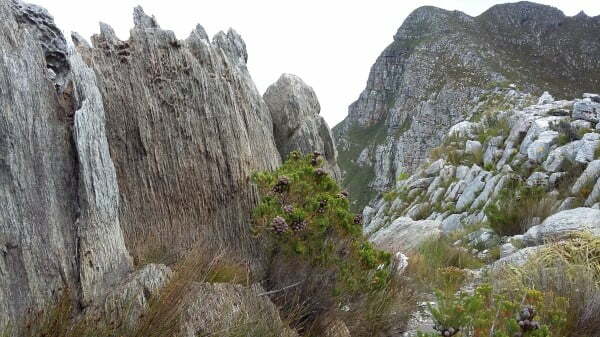 Kogelberg Hike, walking trail biosphere has 3 patches of relic indigenous forest, Louwsbos, Platbos and Oudebos. Similar to the Knysna forests, they include yellowwood, stinkwood and boekenhout trees. 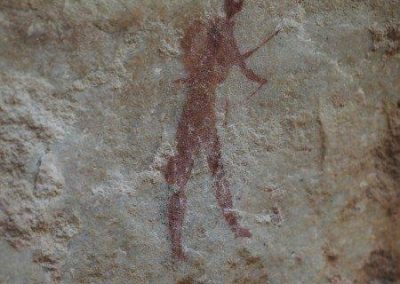 The presence of the Cape Leopard in the area means that there is always the possibility of spotting this elusive apex predator. 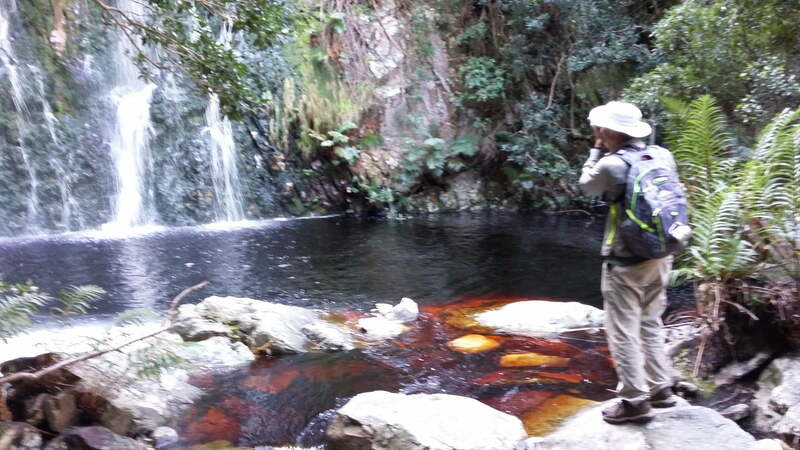 The Cape Leopard The Palmiet River and its associated vegetation is the most pristine in the south-western Cape. 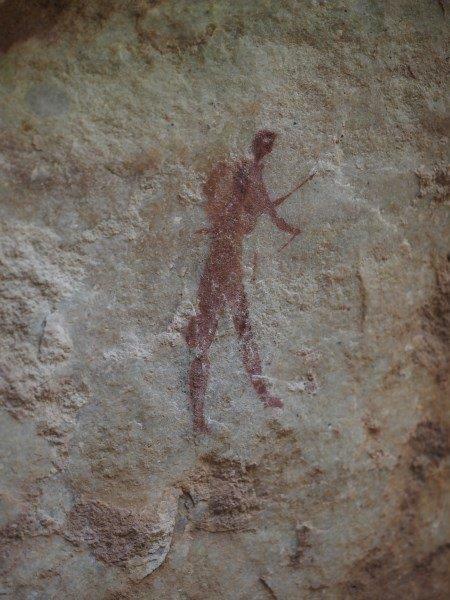 Wild almond, rooi-els, yellowwood and cape beech are among the trees occurring in the riverine scrub. 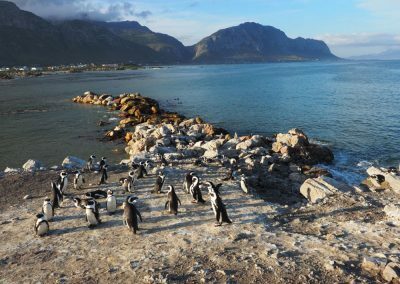 Kogelberg Hiking, Walking Trails – Kogelberg is a UNESCO World Heritage site now boasts stunning eco cottages that can be hired for overnight trails. 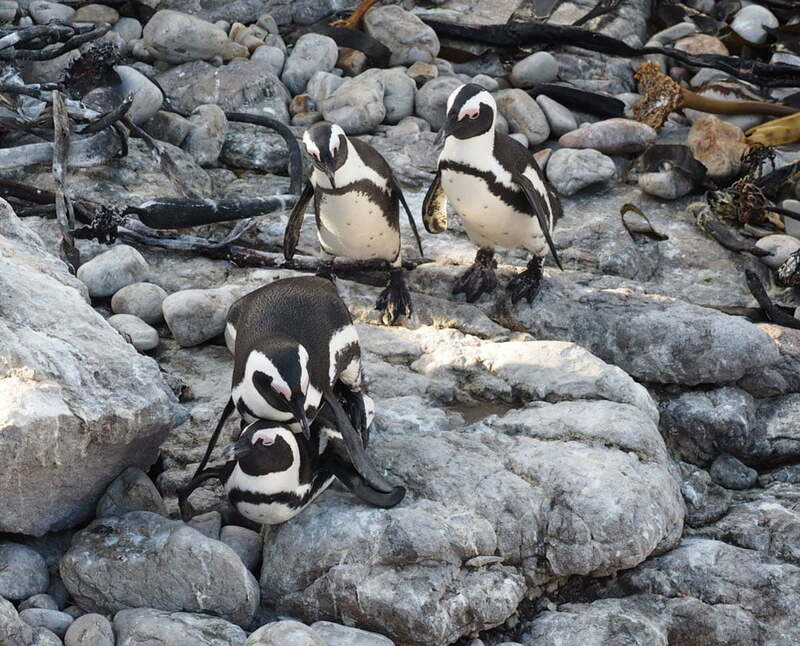 Guided hikes or walks offer so much more: Ralph and Gill live in Hermanus so they have local knowledge and they are registered FGASA and Tourist guides with a wealth of knowledge to make the most of your hike or walk. 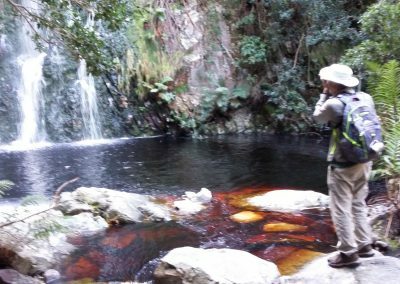 Fernkloof Hiking, Walking Trails – we offer guided hikes in the Fernkloof Nature Reserve – There are some 60 kilometers of hiking trails of varying degrees of difficulty professionally guided to suit your level of fitness and agility. 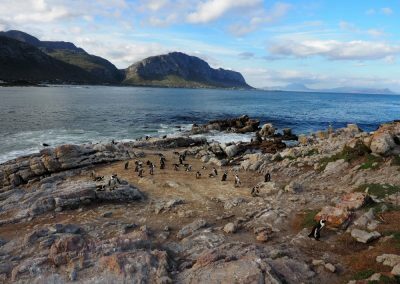 Fernkloof Hermanus Hike introduction Fernkloof Hike – The Nature reserve covers 18 square kilometers and boasts around 2000 plant species. 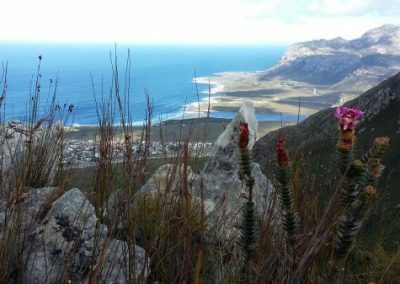 With new species being discovered all the time by the very active botanical society that administers and runs the reserve together with the local Fernkloof Hermanus municipality. 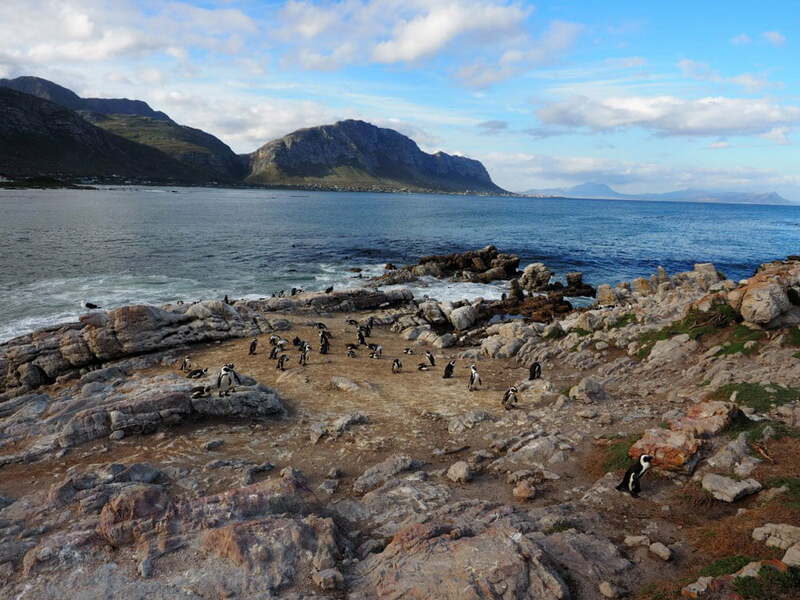 The Fernkloof Hermanus Nature Reserve has a wide variety of habitats, from afromontane forests to rocky cliffs. 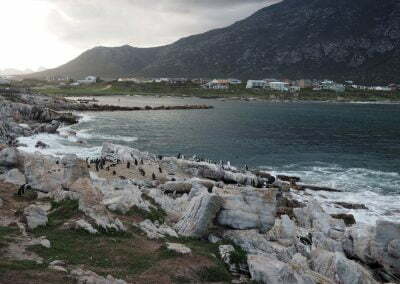 There are many kilometers of trails including the cliff path along the coastal strip which borders the town on a Fernkloof Hermanus Hike. There is also an overnight hut on Galpin Peak at 596 meters above sea level. 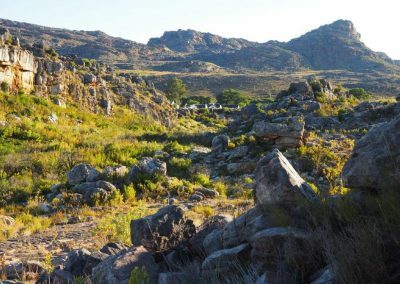 Fynbos is one of the most diverse yet distinctive floras in the world, characterized by evergreen heaths and shrubs, and noted for the Proteas. 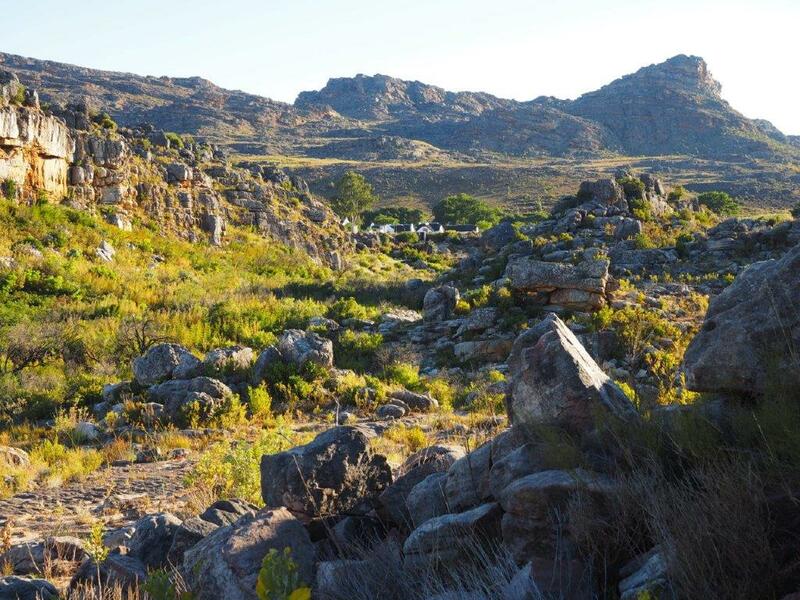 The Fynbos of the reserve forms part of the Fynbos Biome which is in the south-western corner of South Africa. 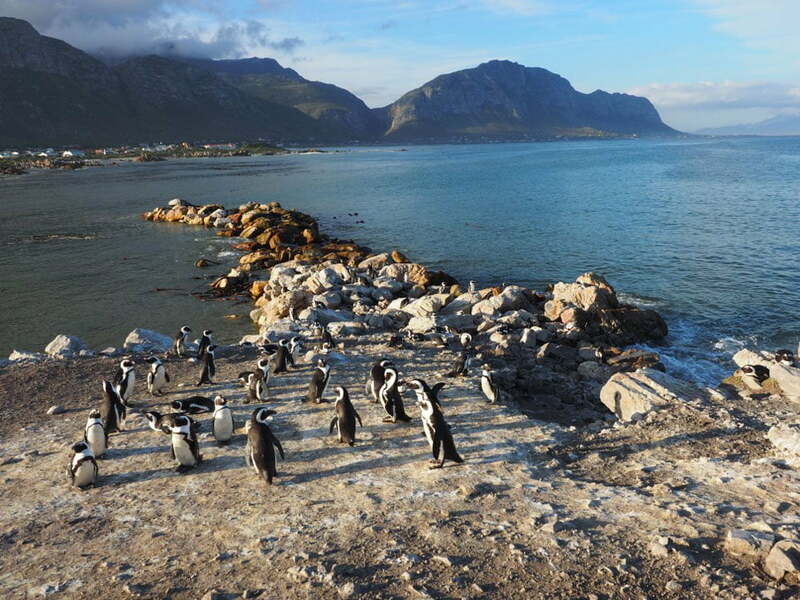 It is often referred to as if it is synonymous with the Cape Floral Kingdom, one of the Earth’s Floral Kingdoms. 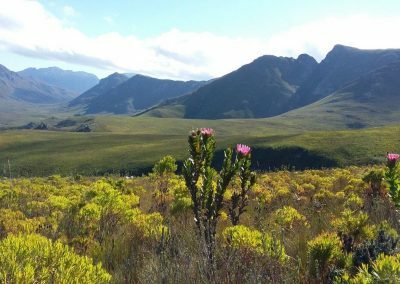 However, when we use the term “biome” correctly, we refer only to the 2 key vegetation groups, namely Fynbos and Renosterveld within the region. 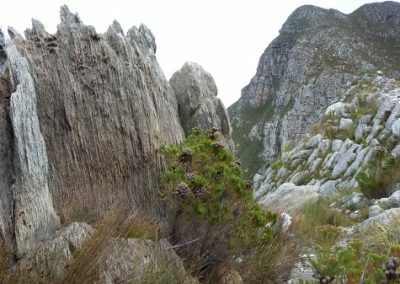 The contribution of the Fynbos vegetation to the species richness, and in particular the Fernkloof Hermanus Reserve to the species richness, endemicity and the fame of the region is so overwhelming, that the Cape Floristic region and the Cape Floral Kingdom tend, incorrectly, to be considered to mean Fynbos. 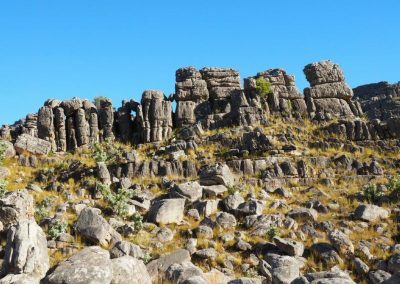 The Cape Floral Kingdom falls within the smallest of the six Floral Kingdoms in the world, and is the only one contained in its entirety within a single country. 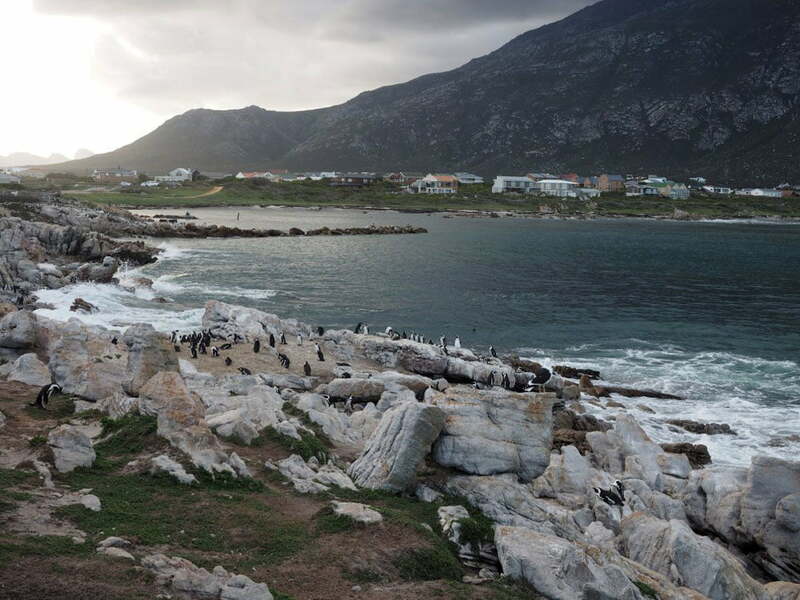 The Cape Floral kingdom is 9 644 square kilometers and has about 9000 species compared to the British Isles which is 320 000 square kilometers with 1 500 species.